Thank you Gwyneth. Through your ingenious although somewhat elitist/pretentious announcement of separation, you have brought the idea of peaceful negotiations to the forefront of family law. Specifically “Conscious Uncoupling” refers to drawing upon “feminine energy” to engage in peacemaking, nurturing and healing to address the separation situation and to reject “masculine energy” which keeps us in “attack mode.” What? That sounds like a fancy way to describe separation, divorce and custody mediation. It’s just mediation. It’s agreeing to make a positive decision to address a very bad/sad/mad situation. To respond without undue reactivity. To get what is fair without vengeance. This probably sounds like a bunch of hooey to the angry and shocked spouse. To the spouse whose life is being unraveled by the choice of the spouse who took vows to protect you, not throw you away! To the spouse who suddenly realizes that he or she will only see about 50% of their children’s lives! To the spouse who sees retirement suddenly as an unattainable goal! To a grown man or woman forced to live with a relative! I could go on and on. The exclamation marks are an understatement. Remember the old adage (I’m paraphrasing): We are not judged by what happens to us, but by our response to what happens to us. Easier said than done. It is ridiculous to suggest that the fury this situation engenders is so easily pushed to the back burner. A fancy, Hollywood divorce is not the typical situation, where lack of money is unlikely to be an obstacle to either party’s future. Hollywood stars may be more accustomed to absences from their children. These people are not most people. So how does one get to mediation- to the place where settlement is the goal; where lawyers are used as advisors and not advocates, where the neutral mediator guides the couple to a fair, practical and final result? Follow me down the AVENUE to recovery. Accept your rage, fury, sadness, grief and fear; it won’t go away. Vent it in the forum which will do the most good- friends, family, a therapist is best; and lots of it. Eject the past- what choice is there? It’s gone. Eject it. Exorcise it. Evolve. Lots of EEs. Never involve your Children. Never. You may fail sometimes but this should be your goal. Unwind. Take baths, yoga classes, meditate. Exercise. Borrow a beach house. Eat Pray Love-Style. Ego rebuilding. Get fit; get a job; get out there and socialize. It’s all been said before, but when one is in the horrible moment, clutching these trite "to do" lists soothe us and chants back at our inner, angry voices. This is the antidote to your poisonous situation. The antidote is not retaliation. It is specifically the opposite. Your emotions must be handled as a separate subject outside of your spouse, so that you can focus on the tedious and practical issues of scheduling children and dividing assets and debts. The Mediator keeps you focused on those goals. The Mediator does it in far less time and for far less money. The Mediator provides the process to move past your past and resolves your future. It may not be a better future at this minute, but it’s not the now-painful past. The Mediator guides you in that direction. Privately and confidentially. The Mediator gauges the fairness of the negotiation. The mediator looks for shared interests (i.e. the children, your joint credit, the success of the other for the purpose of a bright financial future for the children.) The mediator helps redirect the conversation when the inevitable emotional bleeding leaks into the negotiation. Calling it “feminine” vs. “masculine” energy sort of seems divisive to me as a mediator so I don’t like the description although I live the concept. But yes, it’s a conscious decision to make a positive step towards moving forward and healing. Intellectually, most of the involuntarily separating parties understand this. They just need a little help. So Gwyneth and Chris, thank you. You are not too rich, or too famous to recognize that no good comes from a process which prolongs the pain of parting; which tears the children apart; which wallows in the ugliness of the what happened in the marriage; which costs too much time, money, energy, good will, and frankly takes a toll on your health. 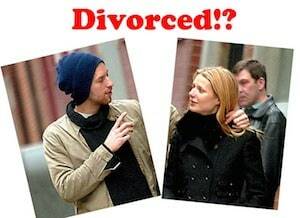 Conscious Uncoupling? OK. Call it what you like. It’s the mediation process by any other name. It’s a wise choice for almost everyone going through separation and divorce. Choose an attorney and you are choosing an adversarial process. Choose a mediator and you are choosing a settlement process. Choose Nancy Caplan, Esquire at Maryland Divorce Mediation and Legal Services.